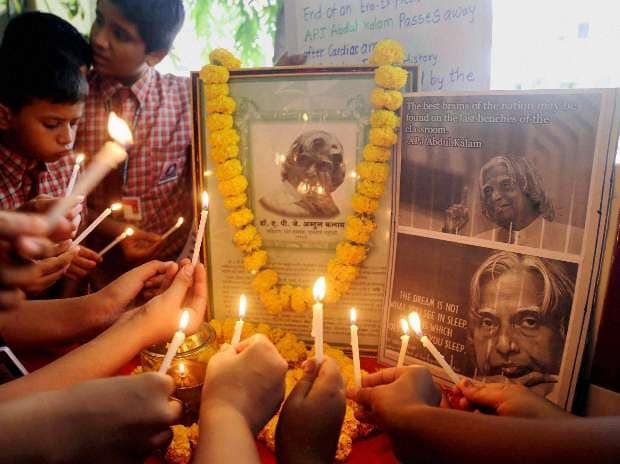 Students paying tribute to former President APJ Abdul Kalam in Mumbai. 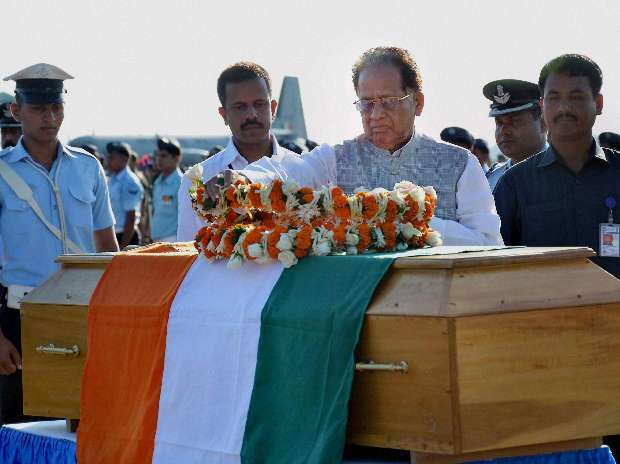 Assam Chief Minister Tarun Gogoi paying floral tribute to Former President APJ Abdul Kalam at Air Force Station, Borjhar in Guwahati. 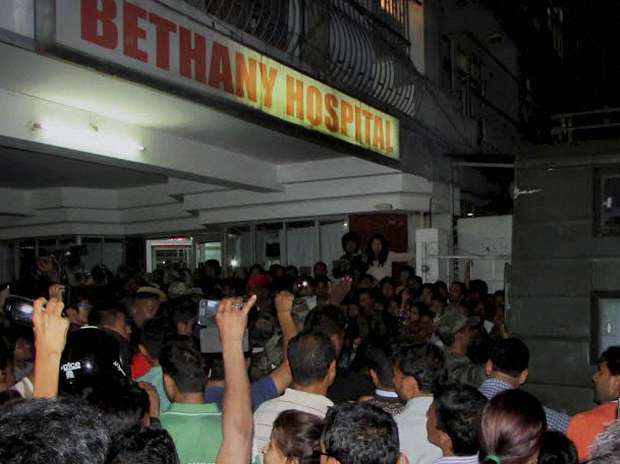 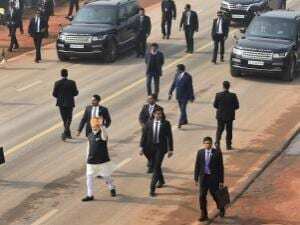 People gather outside Bethany Hospital where former President APJ Abdul Kalam was admitted after collapsing at a function, in Shillong. 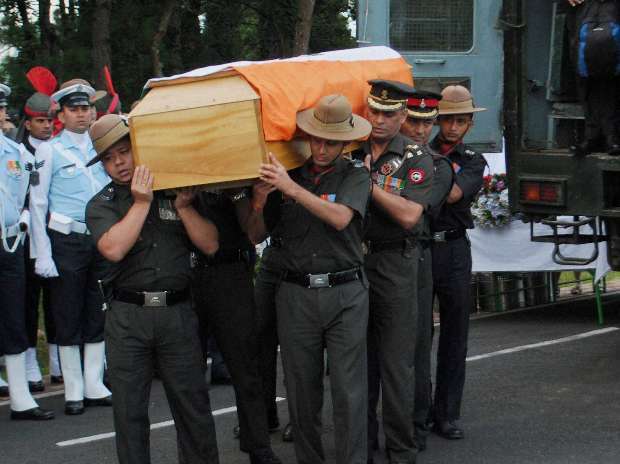 Indian Air Force and Indian Army personnel paying tribute to former President APJ Abdul Kalam in Shillong. 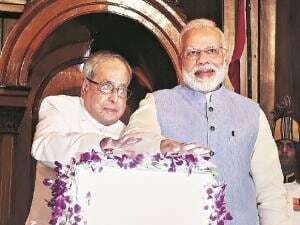 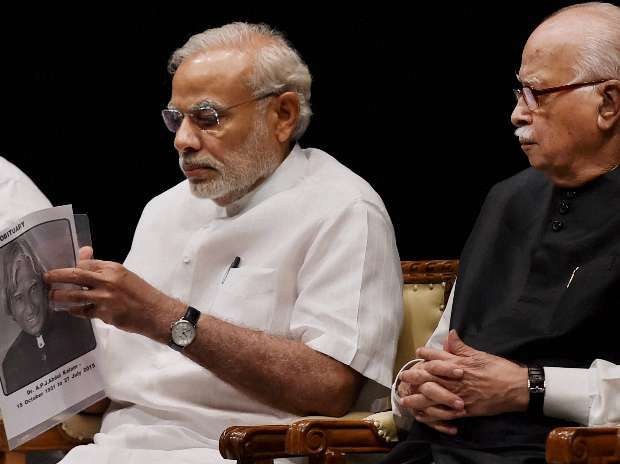 Prime Minister Narendra Modi reads a booklet on former President APJ Abdul Kalam as senior leader LK Advani looks on, at the BJP parliamentary board meeting in New Delhi. 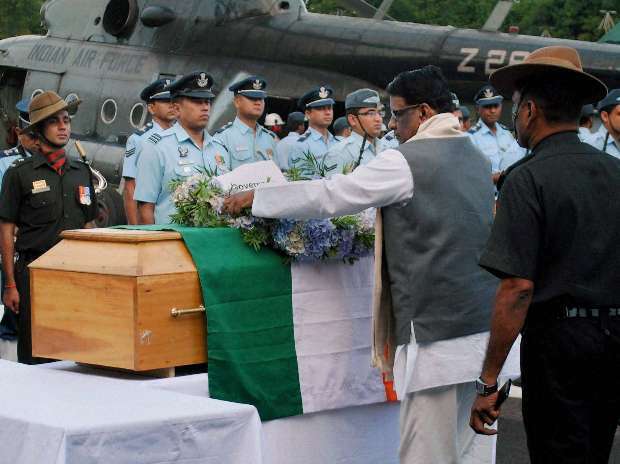 Meghalaya Governor V Shanmuganathan lays a wreath at the mortal remains of former President APJ Abdul Kalam at Airforce Helipad in Upper Shillong. 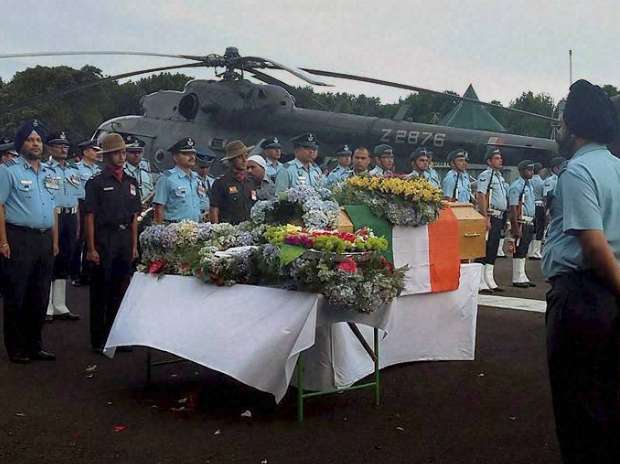 Personnel of Indian Air Force and Indian Army carrying the mortal remains of former President APJ Abdul Kalam at Air Force Helipad in Upper Shilong. 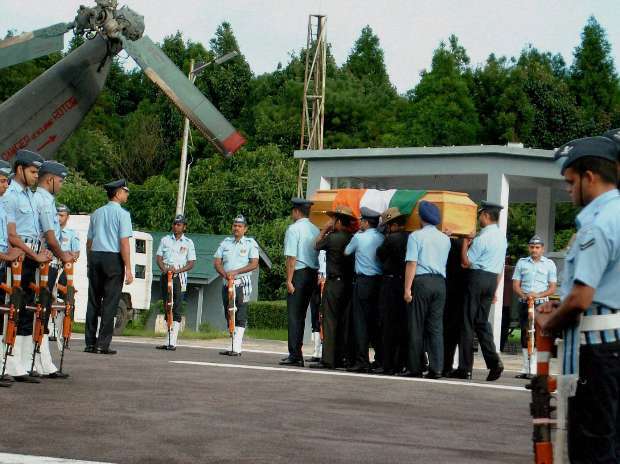 Indian Air Force personnel paying tribute to Former President APJ Abdul Kalam at LGBI Airport in Guwahati. 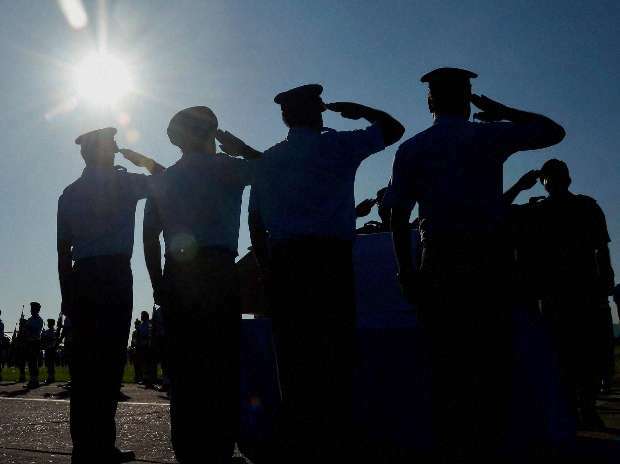 Personnel of Indian Air Force and Indian Army giving last honour to Former President APJ Abdul Kalam at Air Force Helipad in Upper Shilong. 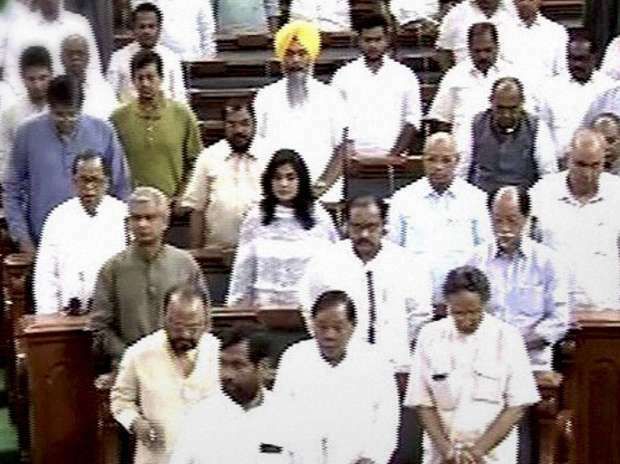 Members observe silence in the Lok Sabha to pay tribute to former President APJ Abdul Kalam in New Delhi.